Do we have to go to trial or a contested hearing? How are assets divided in a New Jersey divorce? Can either parent move a child from New Jersey without the consent from the other parent? I just lost my job. Can I have the child support obligation increased or reduced? It can take as little as a few weeks or longer than a year, depending on the circumstances of your case. In a simple divorce, where both spouses want a divorce and agree on a settlement, the process is quite quick. However, if the spouses disagree over such critical issues as child custody and support, division of marital assets and alimony, a lengthy trial may be necessary. Q: Do we have to go to trial or a contested hearing? No. The majority of all divorce cases settle prior to trial. In fact, fewer than 10 percent of all divorce cases go to trial. To finalize your divorce, however even if there is a signed agreement, the person who filed for divorce generally must appear in court for a default hearing or uncontested hearing. Q: How are assets divided in a New Jersey divorce? New Jersey is an "equitable distribution" of property state. "Equitable distribution" means whatever is fair, equitable and reasonable under the circumstances -- it does not necessarily mean an equal distribution of marital assets between spouses, although many times the assets are distributed somewhere in the area of 50/50. Note that "separate property" (premarital assets, inheritances, and gifts from third parties) may not be subject to an equitable division. In other words, if you have money or other property you received from an inheritance or gift, or that you owned prior to being married, and kept it separate and apart from anything else you own with your spouse, your spouse may not be able to share in it once you are divorced. 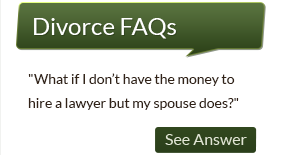 Q: Am I entitled to alimony? The court considers numerous factors set forth in NJSA 2A:34-23 (b) in determining alimony, including: need; the other party's ability to pay; the length of the marriage; the age, physical and emotional health of the parties; the standard of living established during the marriage; the likelihood that each party can maintain that same standard of living after the marriage; the earning capabilities, educational levels, vocational skills and employability of the parties; how long a party was out of the workforce; how long it will take for a party to obtain education or training that would allow the party to become employed; the history of financial or non-financial contribution to the marriage; the income available to both parties through investments/assets; the tax treatment of all assets; alimony awards, as well as any other factor that the court may deem to be relevant. Bear in mind, though, that the New Jersey legislature is considering whether the alimony statute should be changed to be more like the laws in other states. We’re keeping our eyes on this and should this change happen, we will make sure you know about the detriments or benefits in your case. 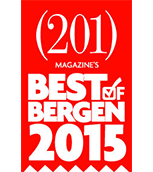 Q: Can either parent move a child from New Jersey without the consent from the other parent? Generally, if a child was born in New Jersey, or has lived here for 5 years, a statute, NJSA 9:2-2, prevents a child from being taken out of New Jersey without consent of both parties or court order. The parent, who wants to move the child out of the state of New Jersey without consent from the other parent, would have to file a motion with the court to allow him/her to do so. The motion must provide the other parent with enough notice to allow him/her sufficient time to consult with an attorney to determine the next step. At that point, if a parent was objecting to the move, the objecting parent would need to file an objection in court, and possibly appear for trial on the matter. Q: I just lost my job. Can I have the child support obligation increased or reduced? After an order for child support is entered, should you lose your job, make a lot less money or suffer other financial difficulties that prevent you from making the required payments or paying your bills, you may be entitled to seek an increase or decrease in the support obligation. However, you must take legal action to have the court increase or decrease your payments. Any agreement by your spouse to accept lower payments may not protect you. Without a court order modifying the payment obligation, the child support amount may not change you may still be legally obligated to pay the full amount, or to receive the lesser amount, regardless of what your spouse tells you. An agreement of the parties does not change what a judge has ordered. You must file a modification action, or enter into a consent order, if you wish to legally alter your support obligation.